Does soothing music help pets? People still argue the point but I wrote about this phenomenon back in 1998 after witnessing some trends in my animal behavior practice and began using noise and audio strategies to assist in my animal clients. There are a variety of remedies to alleviate stress on pets and anecdotes indicate that music can be used to positively influence and help animals to relax–but the scientific analysis still has some catching up to do. Today more studies and products have come to the forefront to support the theory and although some people still scoff at such discussions–most no longer dismiss it. I first heard of a study on cows exposed to soothing music in 1997. The dairy cows were more willing to be milked while listening to the tunes. The next study to flag my attention was the 2002 research study, The influence of auditory stimulation on the behaviour of dogs housed in a rescue shelter by professor Deborah L. Wells of the Canine Behaviour Centre, School of Psychology, Queen’s University Belfast, Northern Ireland. In her study, mixed-breed dogs were exposed to a variety of music such as works by Britney Spears, Metallica along with more than a dozen pieces by classical composers such as Beethoven and Vivaldi. Then, just a few years ago (2004) 150 dogs were involved in a canine music scientific study distributed between veterinary clinics, animal shelters, grooming facilities and similar facilities as well as private homes. 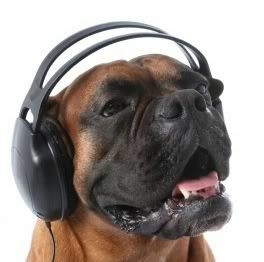 The dogs were exposed to regular classical music and doggie classical (an altered slower version). The works of composers in the study included Mozart, Chopin, Debussy, and Rachmaninoff. The results were that dogs didn’t react the same way to all classical music. What was notable was that the clinical trials showed seventy percent of the kenneled canines became noticeably calmer listening to doggie designer classical music. The result from this study is that Joshua Leeds a psychoacoustics expert, Juilliard-trained pianist Lisa Spector, and veterinary neurologist Susan Wagner produced Through a Dog’s Ear: Using Sound to Improve the Health & Behavior of Your Canine Companion. As a matter of fact, people have always done such things on their own. In many cases, people leave the radio or television on. 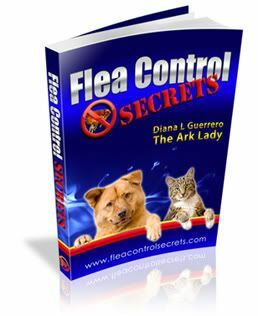 I can’t tell you how many people set the television on Animal Planet for their pet–although some of the content might be disturbing–it is a popular station. Others prefer classical or jazz radio stations while a few use Dog and Cat Radio. Music has always been said to “soothe the savage beast” and is no surprise to music therapists who have studied the effect of music and sound on the human nervous system for over two decades. Tempo, pattern, and tone can change brainwaves, heart rate and breathing patterns. No big leap to apply this to pets. Aren’t humans also animals? I remember watching how the San Diego Zoo meercats (and other animals) became transfixed when their guitar playing pal serenaded them. The good news today is that music is now being used by animal facilities of all types as therapy for animals. It is standard for some of the animal shelters in my area. So, can music tame the beast? Yes, I believe it can but it still seems to be a matter of opinion ten years after I wrote my first article on the topic. Tomorrow I’ll get into some specific music for dogs and music for cats products. In the meantime, do you play music for your pets or leave the television on for them? Let me know the details below. I have 2 chow chows and 1 mixed chow shelty. Hi Nikki, I am glad it was helpful for you. Thanks for stopping by and leaving a note. I hope you will keep coming back!